Nothing can beat the experience of attending a live comedy show after a busy day. A perfect escape from stressful routines, comedy is surely an effective therapy to soothe your heart and mind. A significant role to play in the entertainment world, the importance of comedy is hard to ignore in popular media like movies, theatre, TV or print. No matter how diverse and fast the means of entertainment get, comedy finds the way to put its lovers on ease. The word comedy derives its basis from the classic Greek and refers to any term or subject that induces joy and laughter. The earliest proofs of the genre go back to 425 BCE in Ancient Greece where it was used in play writing and satirical poetry. Performing several comics with masks also support the historical existence of the medium. The Greek Philosopher Aristotle also termed it one of the four pillars of literature among lyric poetry, tragedy and epic poetry. Rolling through the periods of old Sanskrit drama and Shakespearean age, comedy became an evident theme in the following periods of literature and performing arts. With the start of the 20th century, it also covered the journey from silent Charlie Chaplin movies to early talkies. Comedy took a more sophisticated form in 21st century and today it is among the most famous facets of entertainment. As time evolved, comedy merged with other popular genres and branched into many sub-categories and subsequent fields. This fusion gave birth to sorts like Tragicomedy, Stand-up, Slapstick, Comedy-Drama, Mockumentary, Romantic Comedy, Satire, Word Play, Musical Comedy and numerous others. This variety helped in expansion of the genre and it appealed to the audiences with varied tastes and preferences. These developments have also kept it alive in different eras and served to a range of pleasure seeking and ever changing audiences. These types have been used in TV, films, stage, newspaper comics and various other forms of literature. The popularity and demand of comedy has given way to a number of hit series, blockbuster movies and live shows. Some of the modern examples include The Simpsons, Pulp Fiction, South Park, Modern Family, The Tonight Show and many others. Comedy can assure a quality fun time and gives a break from the tedious routine of the day. A humorous piece, a funny joke, and a witty statement can lift one's mood and make them forget about the tensions and worries of life. Comedy is just a simple and operative medium to bring a smile on a sad face and happiness to a grieving heart. 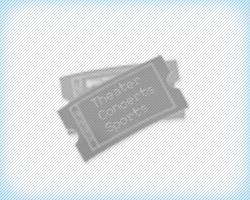 Comedy musicals and plays, stand-up shows and humorists, all come with the purpose to please their audiences. That is the reason that Comedy tickets never stop selling and fun-seekers look forward to them throughout the season. Embrace joy, pleasure and bliss by attending your favorite comedy shows. Choose from a wide range of fun events to your most-wanted comedians and watch them performing live.